ZURICH (Reuters) - A European Medicines Agency (EMA) drug safety panel recommended on Friday that Actelion's Uptravi drug may continue to be used amid a probe into five deaths in France among those using the pulmonary arterial hypertension medicine. Shares in the Swiss drugmaker, which is being bought for $30 billion (20 billion pounds) by Johnson & Johnson , rose more than 3 percent by 1340 GMT. 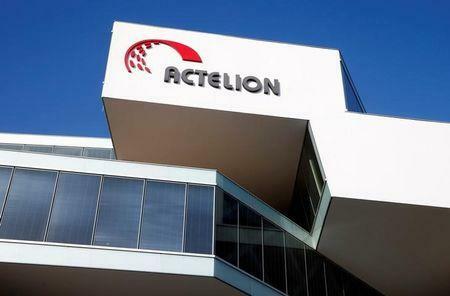 Actelion's stock had slipped in late January after France's drug regulator issued a "Dear Doctor" letter recommending doctors not begin new Uptravi treatments pending the outcome of an investigation. At this week's meeting of the EMA's Pharmacovigilance Risk Assessment Committee (PRAC), European officials wrote that "patients taking Uptravi should follow their doctors' instructions and can continue treatment with the medicine" in line with prescription information. PRAC, responsible for evaluating safety issues for human medicines, said its review of Uptravi's safety would continue.